When it comes to Christmas I dream about peppermint and chocolate. When I discovered this recipe my heart was overjoyed. Best yet, this festive dessert is so easy, your friends and family won’t believe you didn’t spend the entire day in the kitchen. This simple fudge recipe requires less than an hour of your time. There is no boiling, no candy thermometers, and no fuss. 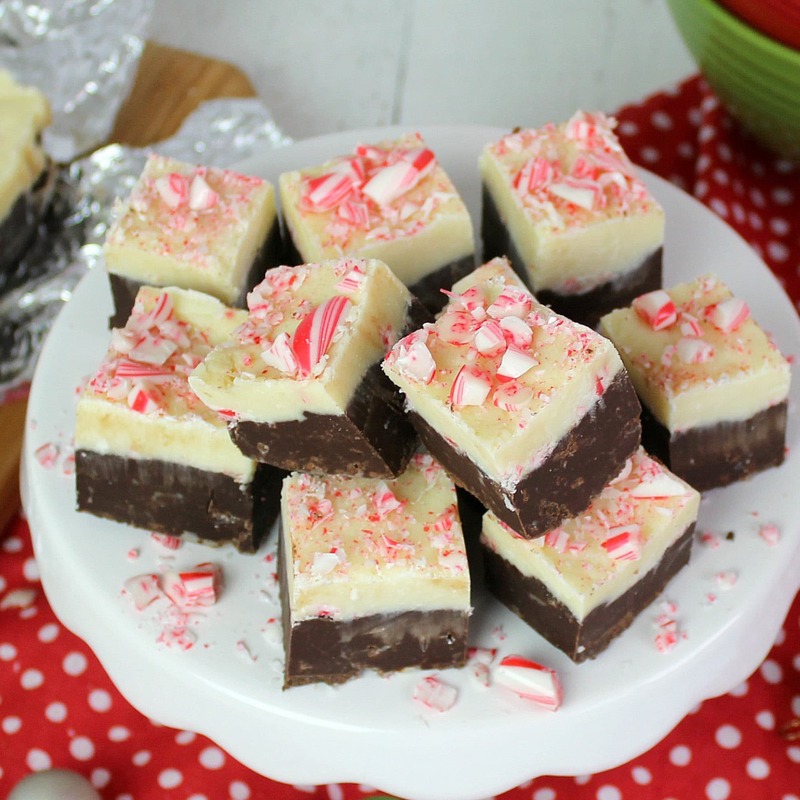 There are two layers of fudge consisting of dark chocolate and white chocolate chips with crushed candy canes in between. It will definitely feel like the holidays when you are preparing to serve these bite-size squares! This recipe also freezes very well for when you need a little holiday spirit once Christmas is over. 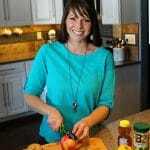 Simply wrap the entire “slab” of fudge or individual pieces in plastic wrap and place in a freezer bag. The fudge will keep for up to 3 months. Happy Holidays! 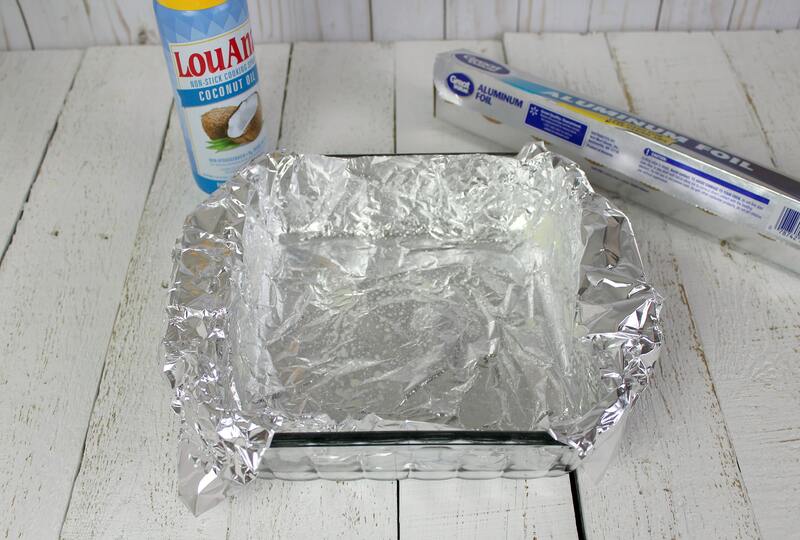 Step 1: Line an 8×8 square pan with aluminum foil and lightly spray with non-stick cooking spray the sides and bottom of the foil. Set aside. Step 2: Pour 1 can of sweetened condensed milk and 2 bags of dark chocolate chips into a medium saucepan. Heat pan on low heat until chocolate chips are melted. Stir frequently. Step 3: While chocolate is melting, unwrap 6 candy canes and put in quart-sized Ziploc bag. Crush with rolling pin or any tool you have on hand. 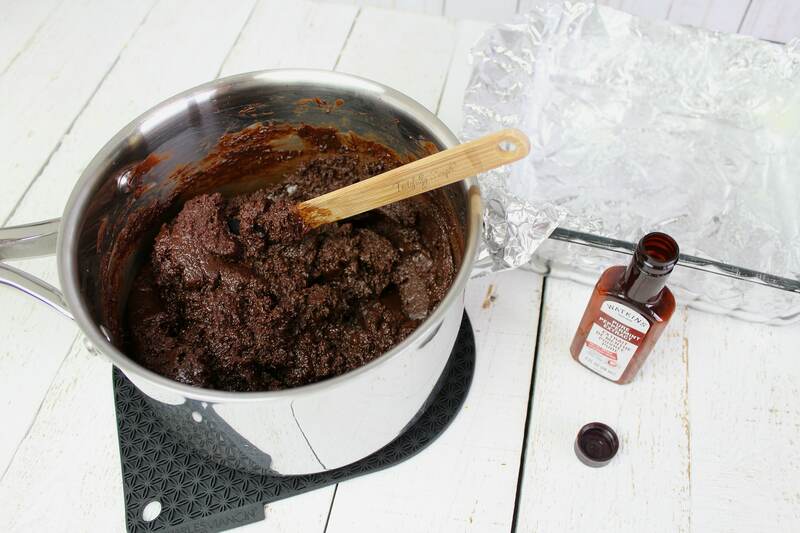 Step 4: Remove dark chocolate mixture from heat and stir in ½ tsp peppermint extract. Step 5: Immediately spread dark chocolate mixture evenly into prepared pan. 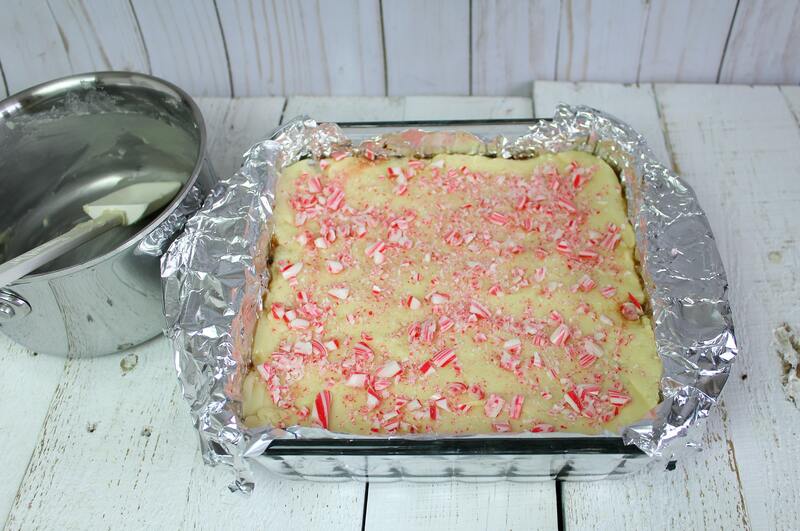 Sprinkle with half the crushed candy canes. Set pan aside. 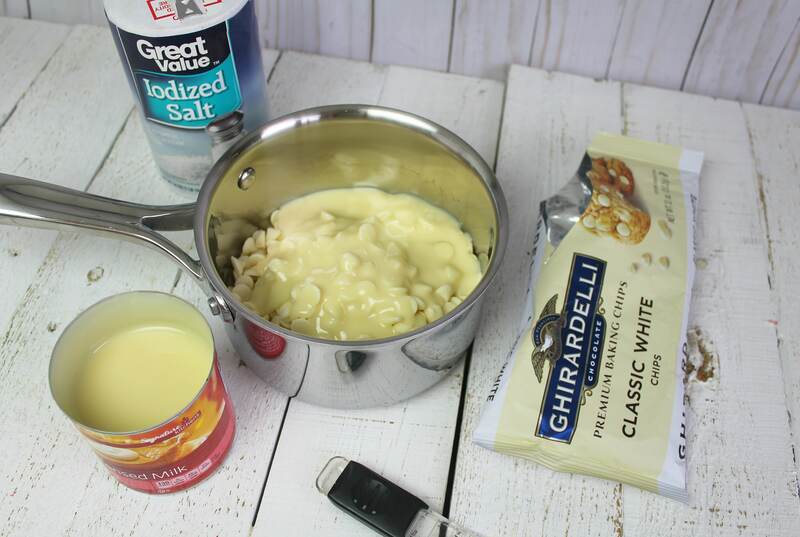 Step 6: Pour white chocolate chips, ½ (7 oz) of sweetened condensed milk, and ¼ tsp salt into a small sauce pan. Heat over low heat until all chips are melted. Stir frequently. Step 7: Immediately spread evenly over chocolate layer. Sprinkle with remaining crushed peppermint pieces. Step 8: Put fudge in refrigerator for at least 2 hours to allow fudge to harden completely before slicing and serving. 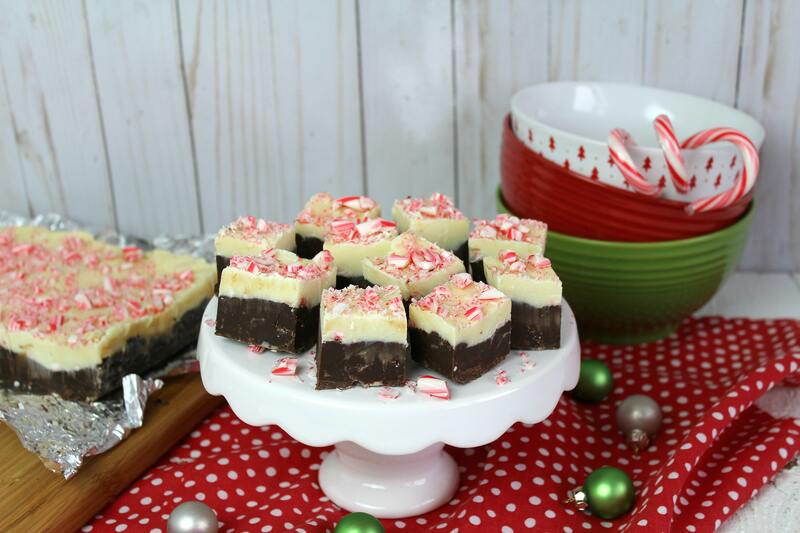 Grab the edges of tin foil and pull fudge out of the pan. Cut squares of fudge on cutting board. 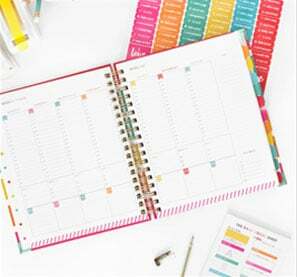 Store in the refrigerator or freezer! This classic combo is re-vamped in a yummy dessert that will please children young and old alike! Line an 8x8 square pan with aluminum foil and lightly spray with non-stick cooking spray the sides and bottom of the foil. Set aside. 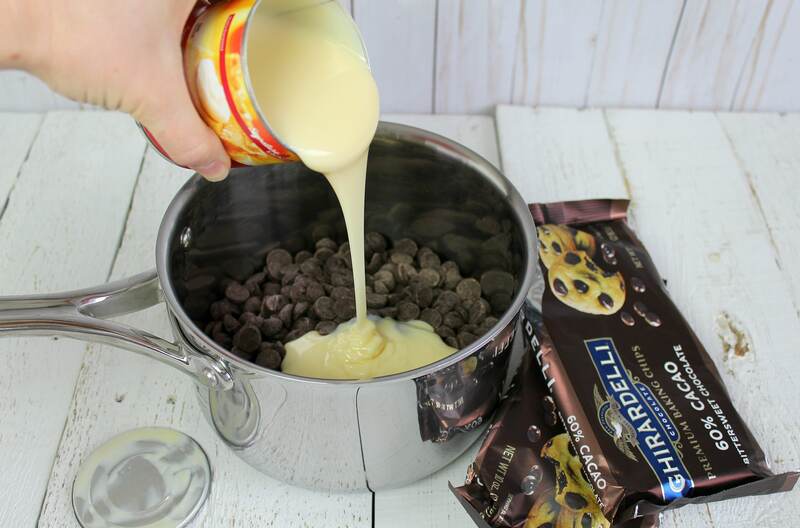 Pour 1 can of sweetened condensed milk and 2 bags of dark chocolate chips into a medium saucepan. Heat pan on low heat until chocolate chips are melted. Stir frequently. 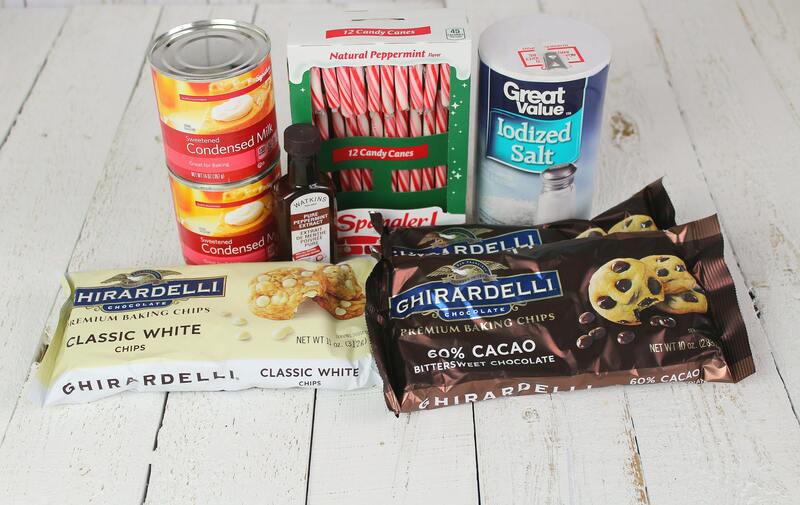 While chocolate is melting, unwrap 6 candy canes and put in quart-sized Ziploc bag. Crush with rolling pin or any tool you have on hand. 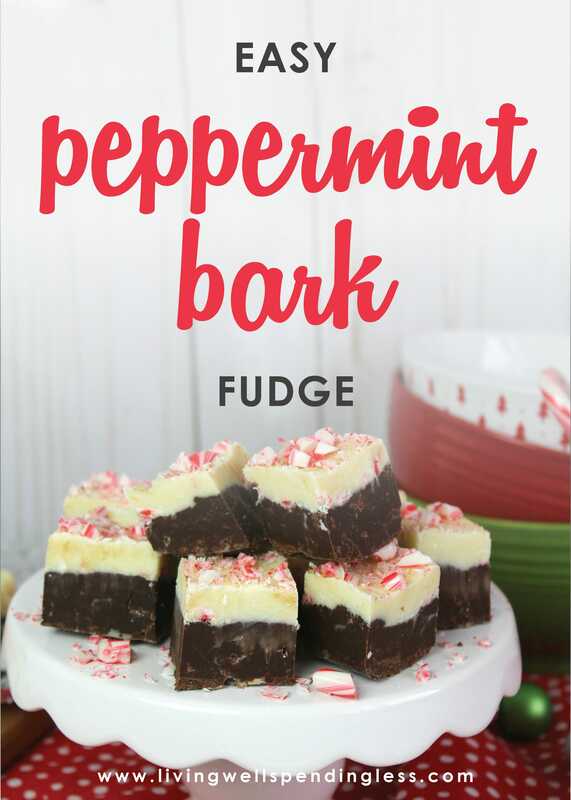 Remove dark chocolate mixture from heat and stir in ½ tsp peppermint extract. Immediately spread dark chocolate mixture evenly into prepared pan. 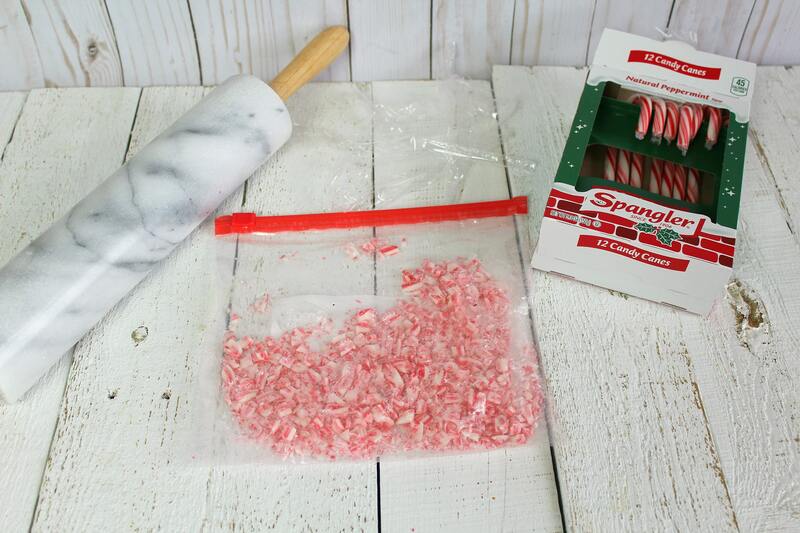 Sprinkle with half the crushed candy canes. Set pan aside. Pour white chocolate chips, ½ (7 oz) of sweetened condensed milk, and ¼ tsp salt into a small sauce pan. Heat over low heat until all chips are melted. Stir frequently. Immediately spread evenly over chocolate layer. 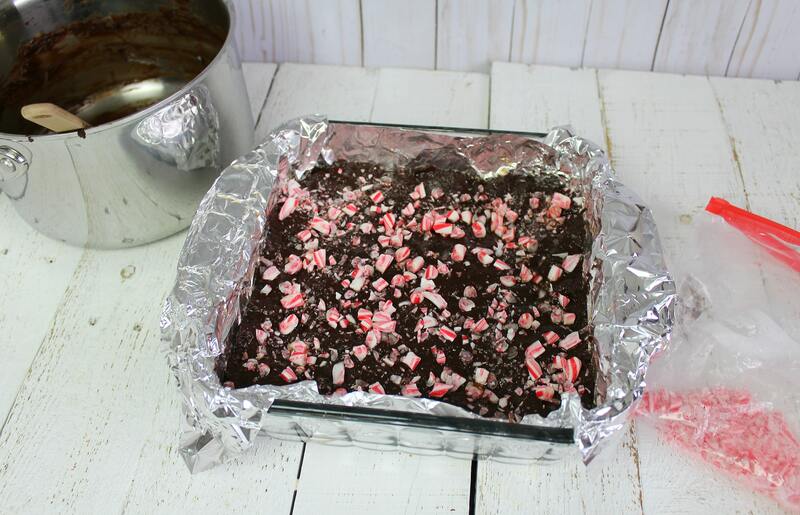 Sprinkle with remaining crushed peppermint pieces. Put fudge in refrigerator for at least 2 hours to allow fudge to harden completely before slicing and serving. 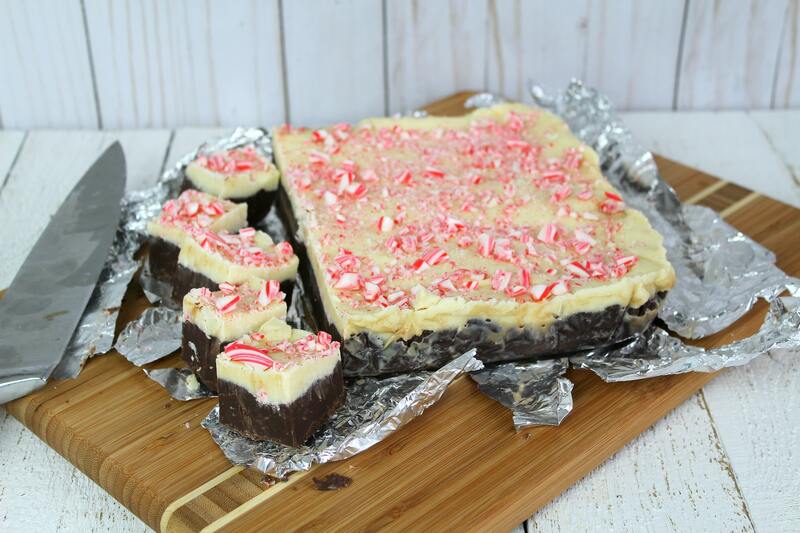 Grab the edges of tin foil and pull fudge out of the pan. Cut squares of fudge on cutting board. 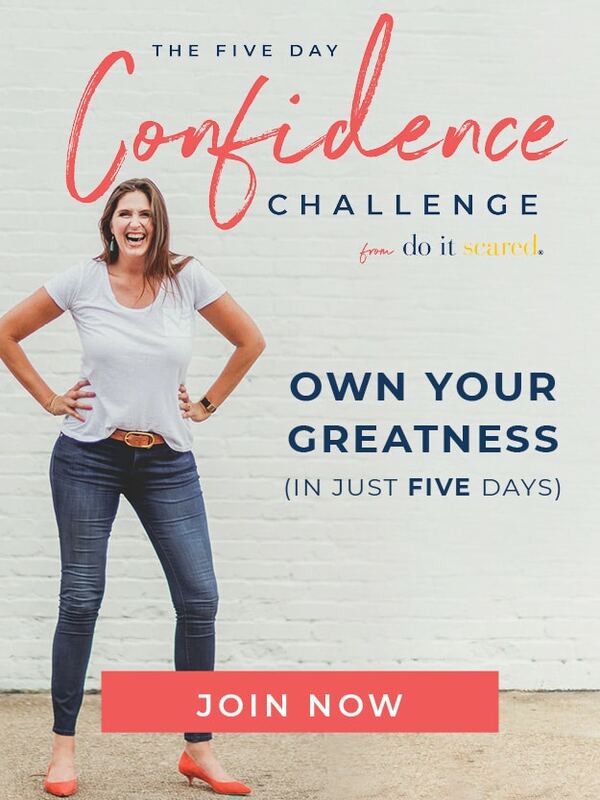 Store in the refrigerator or freezer! Ooo yes please! This looks so yummy!